With the Rajya Sabha Chairman rejecting the notice given by 64 Opposition members for the impeachment of the Chief Justice of India, the focus has shifted to the presiding officer’s power to admit or reject a motion. The Congress, spearheading the move, is planning to approach the Supreme Court. Section 3 of the Judges (Inquiry) Act, 1968, says the presiding officer may admit or refuse to admit the motion after holding consultations with such persons as he thinks fit, and considering the material before him. The law is open to interpretation on whether he can reject the motion on merits without sending the charges to a committee for investigation. A common-sense view suggests the Chairman has to apply his mind to the nature of the charge. To argue that he should merely satisfy himself on the number of signatures appended to the motion and straightaway constitute a probe committee is unlikely to find judicial favour. However, it needs a court to delineate the contours of such an interpretation. Rajya Sabha Chairman and Vice-President M. Venkaiah Naidu held there is little merit in any of the five charges. He has considered the implications for judicial independence if an investigation were ordered into charges that he says are based on mere suspicion and conjecture. He has picked holes in the motion’s wording, saying the signatories themselves are unsure of the veracity of the charges. As for the legal foundation of his order, Mr. Naidu has cited the Supreme Court ruling in M. Krishna Swami v. Union of India (1992), which directed the Speaker (or Chairman) to act with utmost care, circumspection and responsibility and to keep equally in mind “the seriousness of the imputations, nature and quality of the record before him, and the indelible chilling effect on the public administration of justice and the independence of the judiciary in the estimate of the general public”. He has also gone by Mehar Singh Saini (2010) to elaborate on the phrase “proved misbehaviour or incapacity”, used in Article 124(4) of the Constitution, the ground for impeachment of a Supreme Court judge. What is possibly the main charge — that Justice Misra misused his control over the roster to assign cases selectively with a view to influencing their outcome — is indeed a serious one. But the question is whether impeachment is an option in the absence of concrete material to establish this charge. The Opposition is divided on initiating impeachment proceedings and there are two views within the Congress itself. 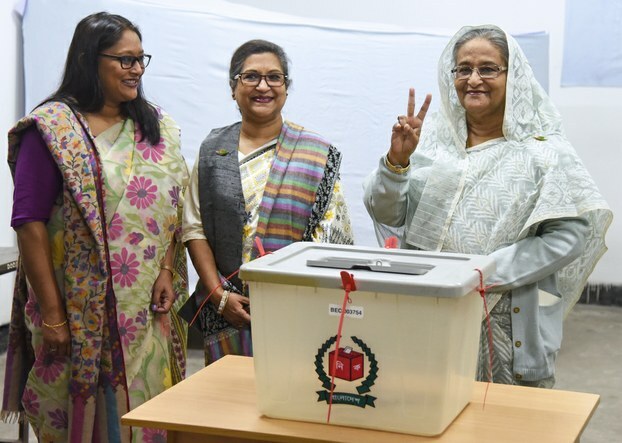 Taking the matter to court may result in a judicial resolution, but it is unlikely to end the controversy over the functioning of the Supreme Court, an issue that has unfortunately assumed a very political and polarised character. Last Saturday, within hours of Prime Minister Narendra Modi’s return to Delhi from an overseas tour, the Union Cabinet approved the promulgation of the Fugitive Economic Offenders Ordinance, 2018. A fugitive is defined as someone who has left India to avoid criminal prosecution or who is already overseas and refuses to return to face the law. 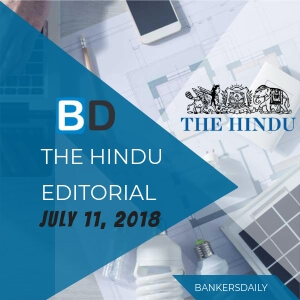 In recent weeks, banks have been asked to mandatorily collect passport details of those borrowing above ₹50 crore, and the passports of some wilful defaulters are being impounded too. Given that the proposed legislation was announced well over a year ago, the trigger for this belated haste is easy to see. While presenting Budget 2017-18, the Finance Minister referred to instances of offenders fleeing the country to escape its justice system, and said the government was looking at a law to confiscate the assets of such persons till they return to face the law. 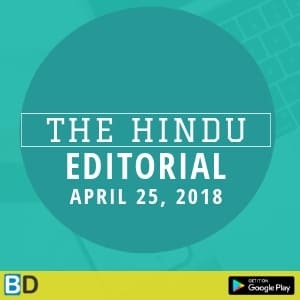 By September, the Finance and Law Ministries had agreed on a draft Bill, but it was only introduced in the Lok Sabha this March, in a session that proved to be a washout. 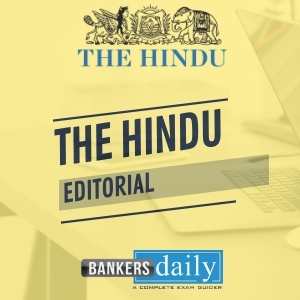 The government is no doubt conscious of the clamour for tough action on absconding offenders, particularly those involved in financial misdemeanours and wilful defaulters of bank loans. There remains great consternation over liquor baron Vijay Mallya’s flight from the country, with his now-defunct Kingfisher Airlines having run up outstanding loans of over ₹9,000 crore from Indian banks. Both Mr. Mallya and former Indian Premier League commissioner Lalit Modi, who faces an Enforcement Directorate probe for foreign exchange law violations, are in Britain. They left Indian shores for safer climes under the NDA government’s watch, as did diamond merchants Nirav Modi, Mehul Choksi and their associates, whose firms defrauded the country’s second largest public sector bank of over ₹12,800 crore. India is no closer to getting Mr. Modi or Mr. Mallya back to face the law, with extradition proceedings against the latter crawling through U.K. courts. No clear indications about whether their return could be expedited emerged during Prime Minister Modi’s meeting with his British counterpart Theresa May last week. Meanwhile, though government agencies have attached the diamond merchant duo’s assets in India, an American court has disallowed the sale of their assets in other jurisdictions while allowing their U.S.-based entity to offload its assets. The reason: India is yet to pass a model law mooted by the UN for cross-border insolvency cases. It is not clear whether this ordinance can tide over this major handicap. The government may have opted for the ordinance route to deflect the heat from these cases of fraud, but it needs to present a coherent vision about its plans to bring back those fugitives who have already got away and plug the remaining loopholes in the system. Meaning: The action of calling into question the integrity or validity of something. Meaning: Lead (an attack or movement). Meaning: The action of explaining the meaning of something. Meaning: Add (something) to the end of a written document. Meaning: An opinion or conclusion formed on the basis of incomplete information. Meaning: To criticize something severely; to point out the flaws or fallacies in an argument. Example: The lawyer picked holes in the witness’s story. Meaning: A party that has signed an agreement, especially a state that has signed a treaty. Meaning: A suggestion that someone is guilty of something or has a particular bad quality. Meaning: (Of ink or a pen) making marks that cannot be removed. Meaning: To announce something publicly, especially a new law. Meaning: A person who has escaped from captivity or is in hiding. Meaning: A person who commits an illegal act. Meaning: Seize and take legal custody of (something, especially a vehicle, goods, or documents) because of an infringement of a law. Meaning: Coming or happening later than should have been the case. Meaning: Excessive speed or urgency of movement or action; hurry. Meaning: Take or seize (someone’s property) with authority. Example: The party was a washout – hardly anyone came. Meaning: Leave hurriedly and secretly, typically to escape from custody or avoid arrest. Meaning: An important or powerful person in a specified business or industry. Meaning: No longer existing or functioning. Synonyms: Disused, No longer in use. Meaning: Illegally obtain money from (someone) by deception. Meaning: Behave obsequiously or ingratiatingly in the hope of gaining someone’s favour. Synonyms: Cultivate, Seek the favour of. Meaning: Rid oneself of (something) by selling or passing it on to someone else. Meaning: If you do something for someone to tide them over, you help them through a period when they are having difficulties, especially by lending them money. Example: He wanted money to tide him over. Meaning: Cause (something) to change direction; turn aside from a straight course. Meaning: (Of an argument, theory, or policy) logical and consistent. Synonyms: Means of evasion/avoidance, Means of escape. 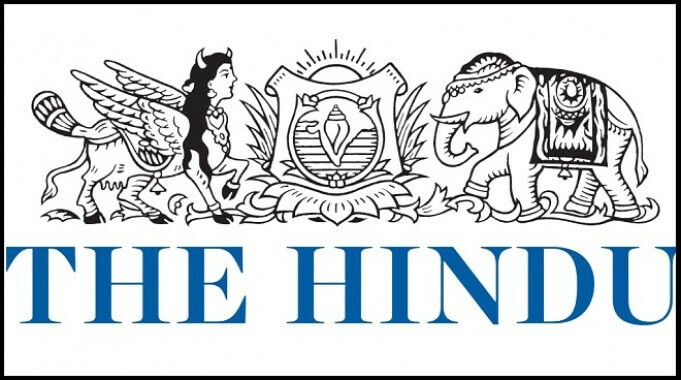 Want to learn more, Check the Previous Day of THE HINDU EDITORIAL which was published in our Bankersdaily and learn new words to enhance your Vocabulary.